The best work boots don't have to be expensive, they just have to be solidly built. These Timberland PRO Men's 26011 Wheat Nubuck Insulated Waterproof boots prove that a little style doesn't hurt, either. The wheat-colored full-grain Nubuck leather is waterproof ... (see full details) (see specifications) #TMBTB026011713. The best work boots don't have to be expensive, they just have to be solidly built. These Timberland PRO Men's 26011 Wheat Nubuck Insulated Waterproof boots prove that a little style doesn't hurt, either. The wheat-colored full-grain Nubuck leather is waterproof, breathable, flexible -- it does everything but wear these direct inject boots for you. Nubuck has the touchable softness of suede, the durable strength of full-grain leather and it’s finished with comfortable, black padded collars. The uppers are also seam-sealed for durability and to keep your feet dry. Inside, antimicrobial lining prevents odor-causing bacteria. The polyurethane footbeds have also been covered with antimicrobial fabric. Shock-absorbing, impact-resistant polyurethane sock liners have been made in a contoured design to fit your feet. The 400g insulation keeps feet warm even on chilling winter days. The midsoles are made with blown-thermal plastic for cushioning and flexibility. The internal shank system is made with a nylon shock diffusion plate that supports your feet and lifts muscles, preventing pain. These insulated boots were made using the Timberland PRO 24/7 Comfort Suspension System that provides support to keep for feet comfortable all day long. Direct-attach construction joins the rubber lug outsoles to the uppers on these 8-Inch work boots. Through lightweight, flexible direct-attach construction, the soles and uppers are fused together in a weather-resistant seal. The Timberland PRO rubber outsoles are oil-resistant and non-marking. These waterproof boots also provide electrical hazard protection. Order a pair of Timberland PRO Waterproof Insulated 26011 Wheat Nubuck Men's Boots today and your feet will thank you on those cold, wet days to come. This is a great Boot, probably the most comfortable boot I have ever worn. I highly recomend these boots for whatever your need. They are great in the winter and whatever work you have to do. I can wear them all day without any foot fatigue. My feet don't hurt at all at the end of the day after wearing these boots, which is unusual for me. Good luck with your next project, and while ytour doing it slip these on, you won't regret it! Timberland Pro 26011 Work Boot in a size 15w has been a good boot for me. I work construction with concrete and jackhammering and these Timberland Pro boots have held up for over 2 years and still have a little life left (only due to sole being worn down). I am going to replace them with same pair of boots. The only thing I will change will be to put in shoe insert and they were much more comfortable. A++++ boots for the money. 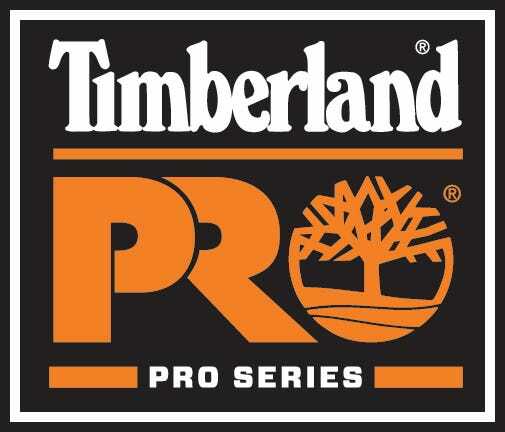 Timberland Pro Series boots have stood up to the test of working around all trades in construction. As a Special Inspector in NYC I spend everyday working on site through a wide range of temperatures and conditions. Whether walking through an excavation, climbing ladders and stairs, balancing on a deck of Re-bar, or just commuting through NYC to work, these boots have always been extremely comfortable and durable. They also happen to come at a very reasonable price. have to struggle to get them on. keep getting cheaper made each year! The Timberland PRO Boots are awesome. They are extremely comfortable, warm, well made, and fit great. These will stand up to the cold winters we have and will keep my feet warm and dry. If you are looking for a durable and comfortable pair of boots, you can't go wrong with Timberland PRO. Got them at a great price and you can't beat free shipping! Thank you. Timberland PRO Boots: Men's Waterproof Insulated 26011 Wheat Nubuck Work Boots is being added to your cart.